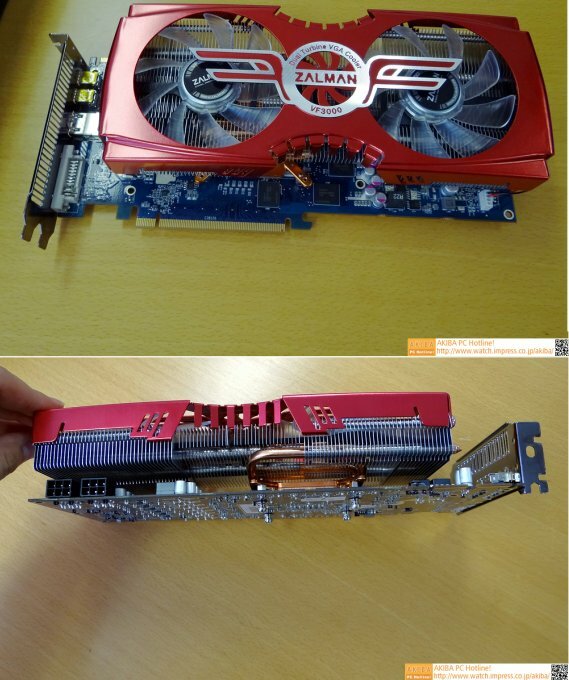 TechPowerUp shows off photos of the Radeon HD 7950 from Zalman. This model features a slightly redesigned reference board from AMD, it has different colors and comes with Zalman's VF3000 cooler, which features copper heatpipes, a large aluminium fin array and two red LED fans. The cooler occupies three expansion slots, and is said to offer temperatures as low as 20°C below what the AMD reference cooler manages. This particular model sticks to AMD reference clock speeds, leaving it to end-users to take advantage of the cooler and overclock for themselves, although plans for an OC model are underway.